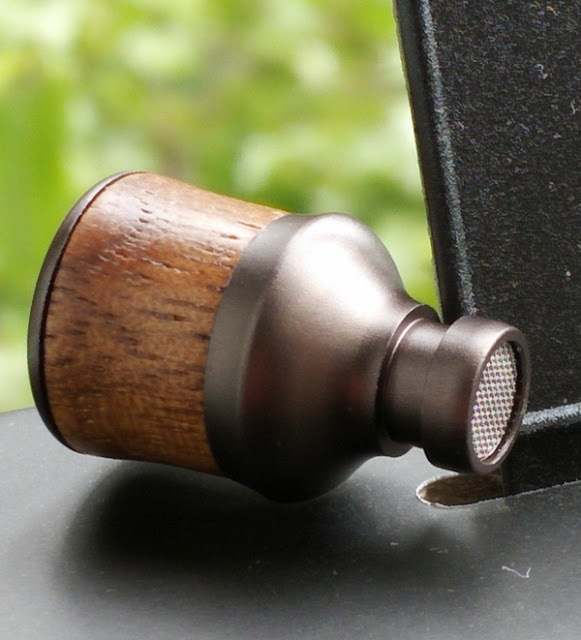 Quality workmanship coupled with premium high-fidelity audio is a sound combination! 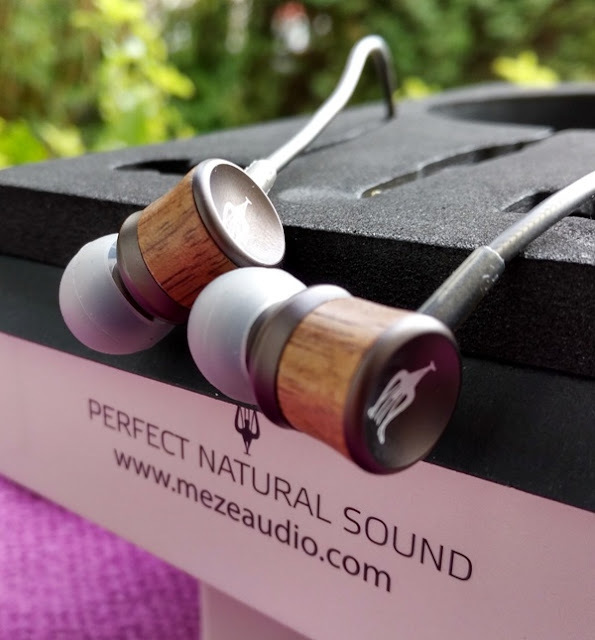 These wooden headphones by Meze Audio are the 12 Classics earphones which produce a deep and extremely clear sound. 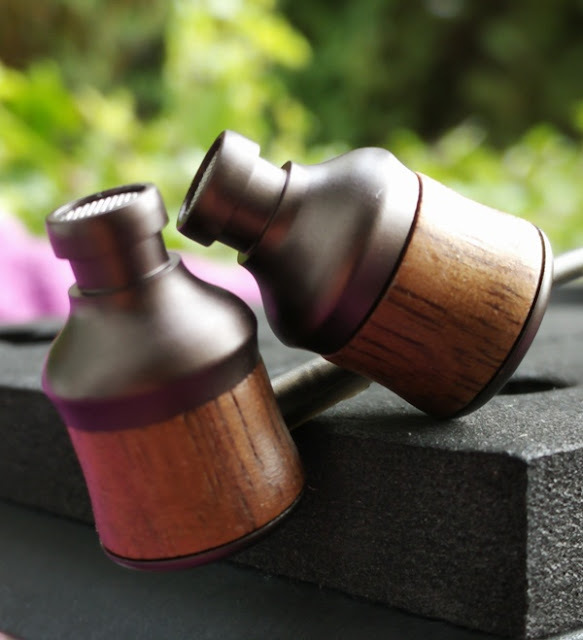 The Meze 12 Classics driver housing is made from real walnut wood, just like the Meze 99 Classics, and gunmetal aluminum, including the nozzle tips which are straight and wide. 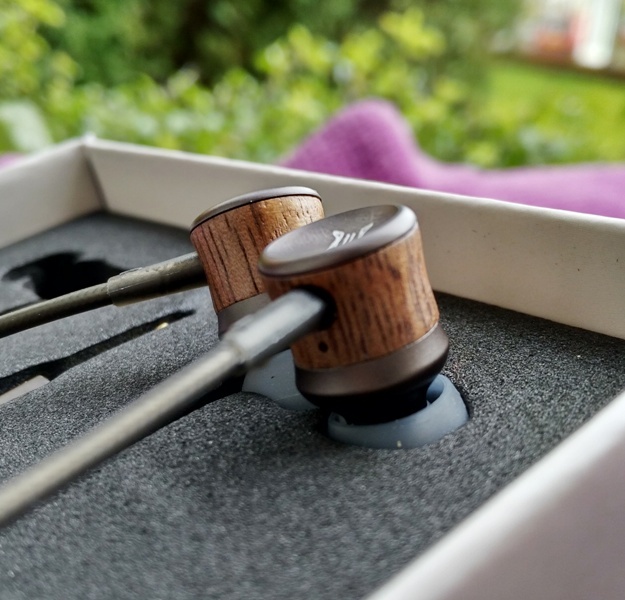 The 8mm drivers built-in to Meze 12 Classics feature titanium-coated mylar membranes and copper-clad aluminium (CCA) voice coils which are lighter than pure copper and stronger than pure aluminum. 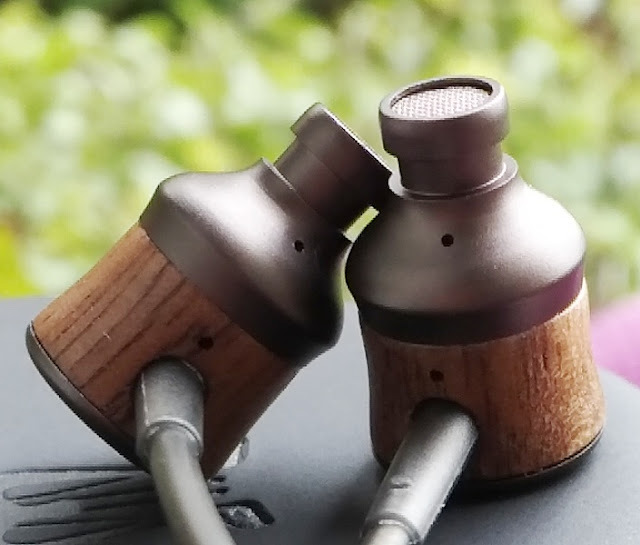 The 12 Classics wooden earphones come with a single remote control button to skip tracks, play/pause music and answer/reject phone calls. 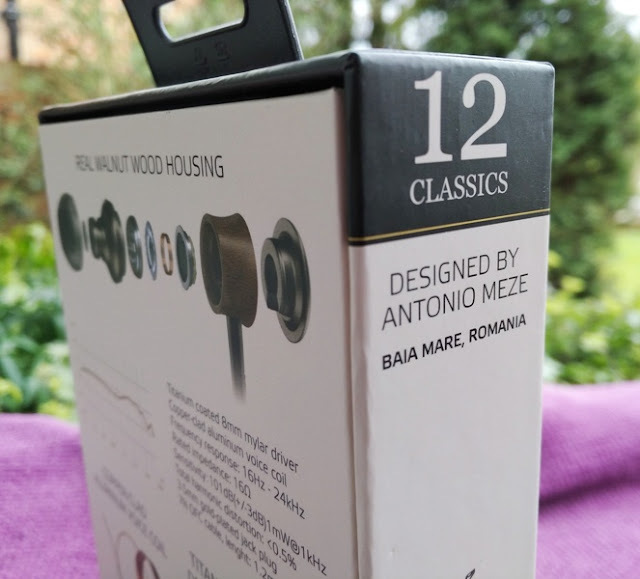 While there is no volume control functionality, the remote control on the Meze 12 Classics earphones works with any device, including Apple and Android phones. 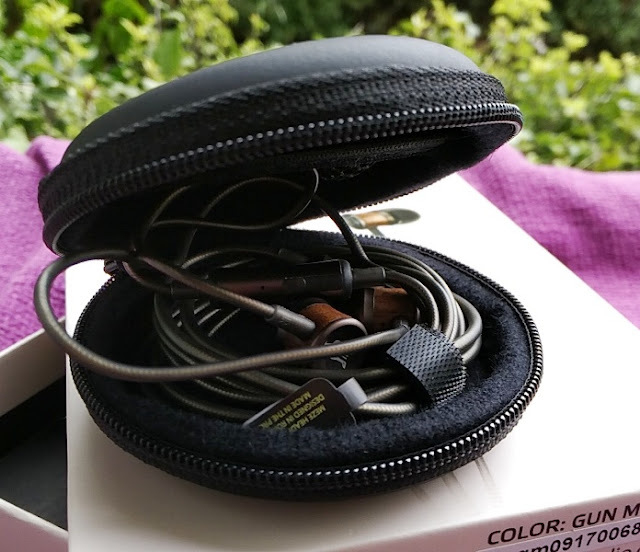 The remote mic works as good as the one in the 11 Neo earphones. 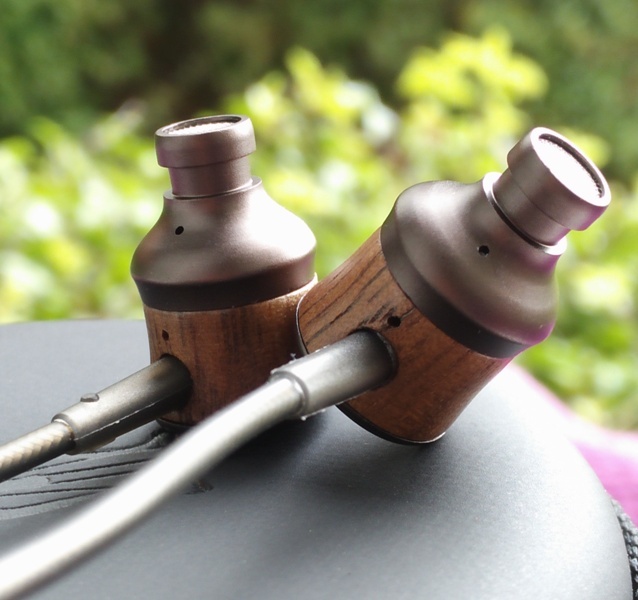 These are also symmetrical earphones so the y-cord cable is designed to be worn in front of you as opposed to around your neck like asymmetrical earphones where one earbud cable is longer so you can loop it around your neck.. 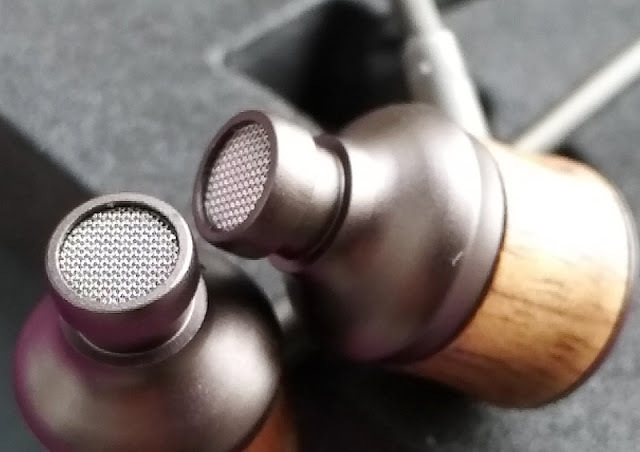 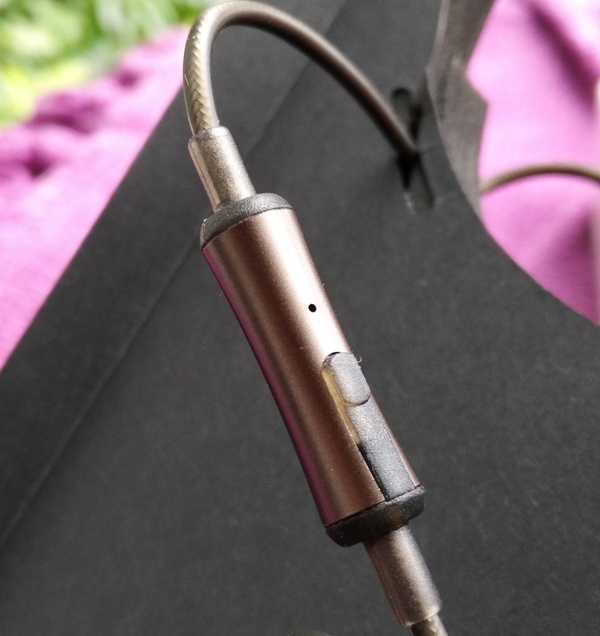 While the Meze 12 Classics don't feature a longer earbud cable which helps to tell the difference between the left and right earphone, you do get an L and R marking on each earphone. 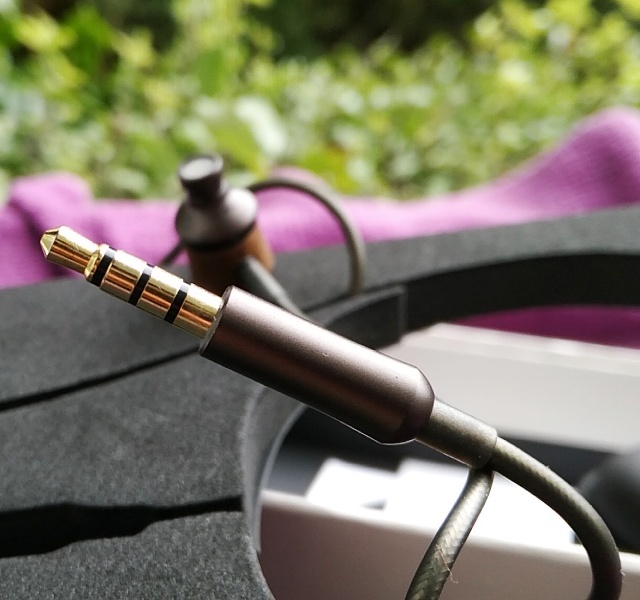 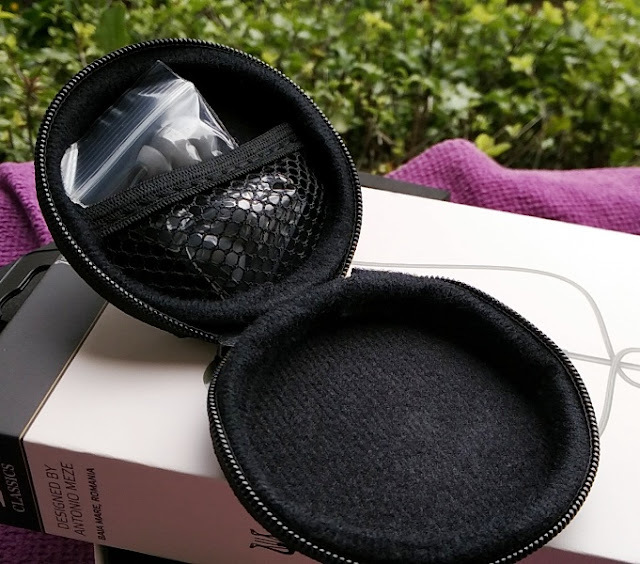 The microphone remote control is also integrated in the right earphone cable which also helps quickly distinguish between left and right earphones. 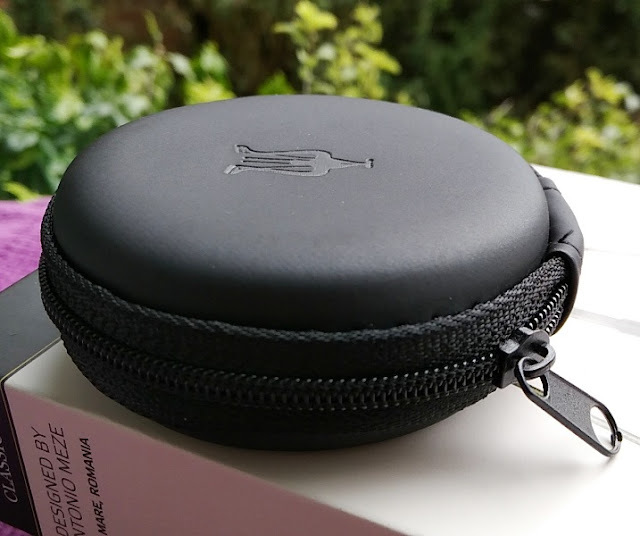 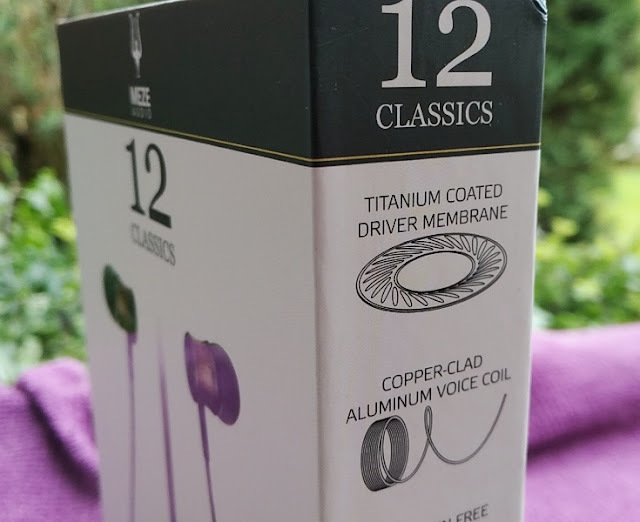 While the Meze 12 Classics are high fidelity earphones, the impedance rating is only 16 ohms, meaning there is very little resistance preventing high output so you won't need an external headphone amp/dac plugged into your phone to amplify the volume. 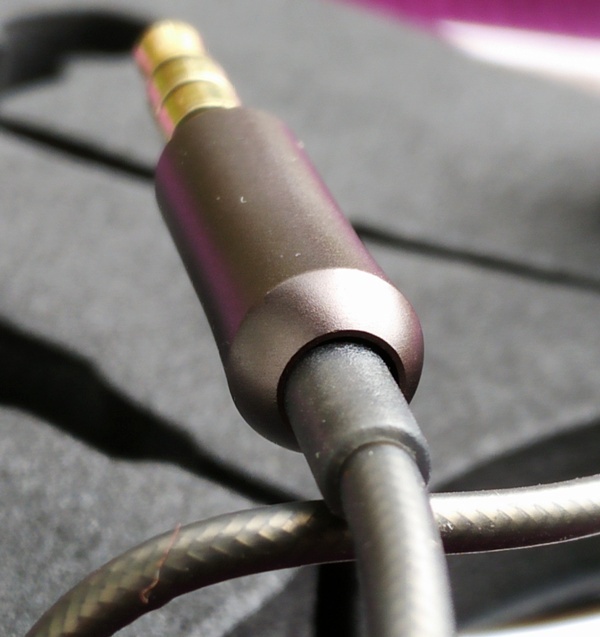 As far as the quality of the audio sound, it is rich and bassy. 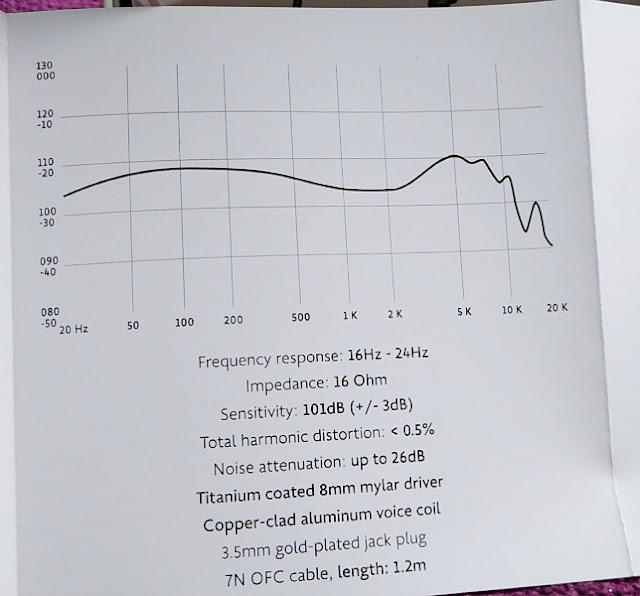 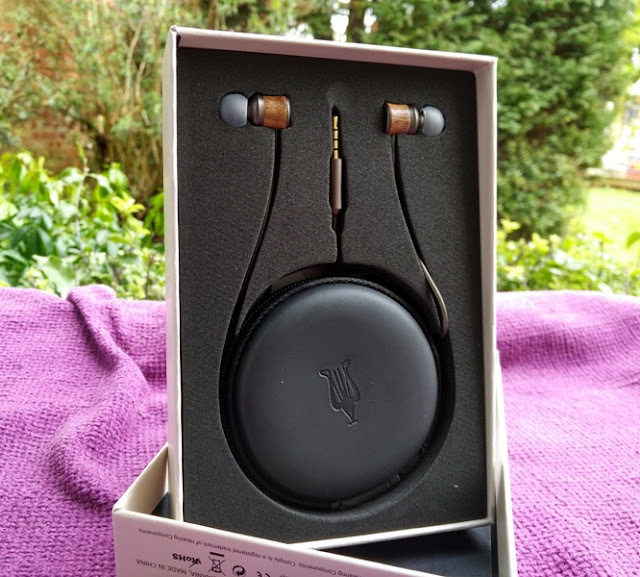 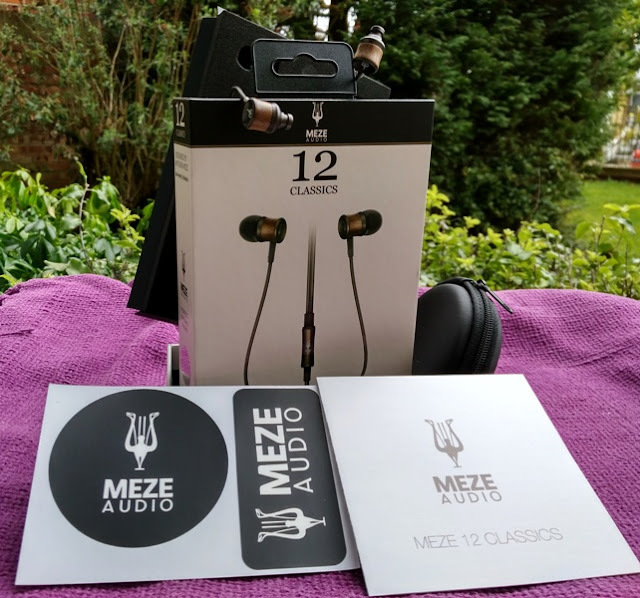 The Meze 12 Classics have a frequency response range between 16Hz and 24KHz, and a sensitivity of 101dB (+/- 3db) which is on the higher end (most earphones are usually in the range of 80 to 125 dB). 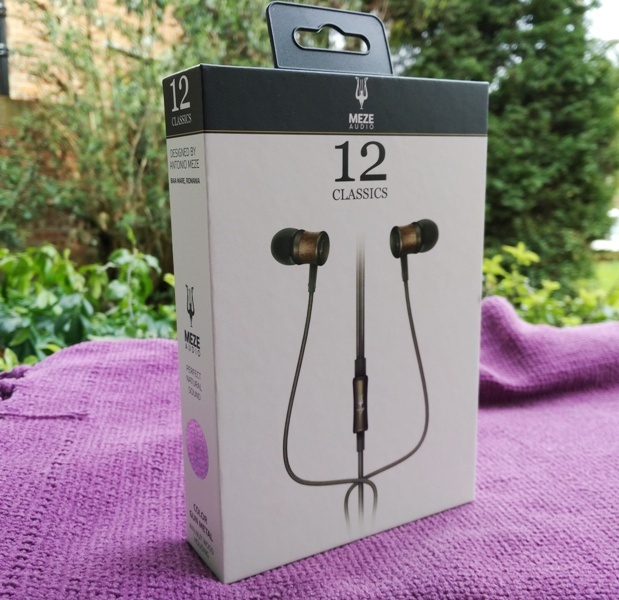 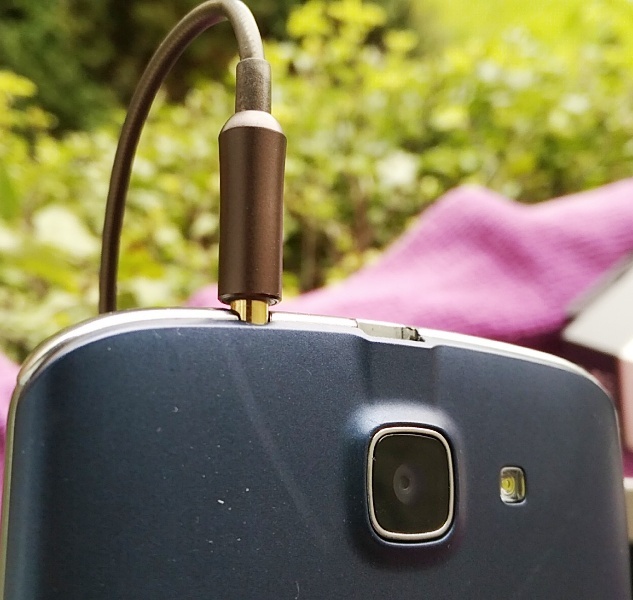 The Meze 12 Classics earphones also do a good job at cancelling background noise. 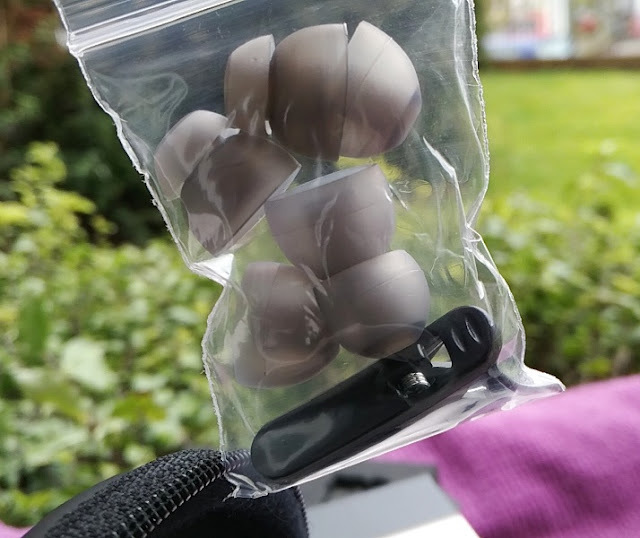 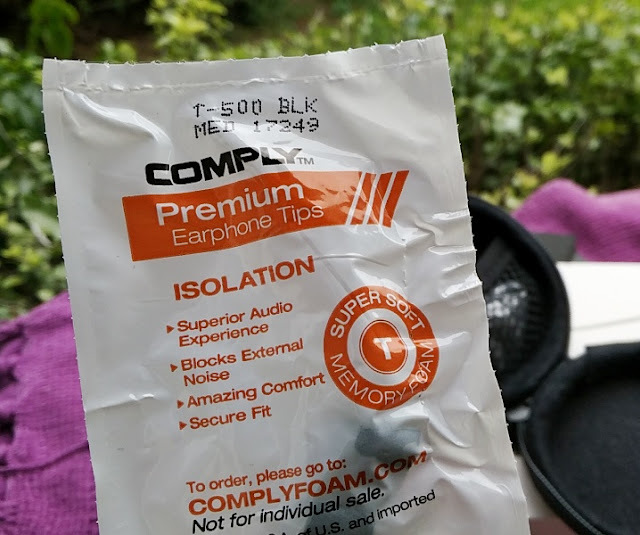 In fact, they can attenuate noise, like earplugs do, up to 26dB which is pretty good for a pair of in-hear headphones. 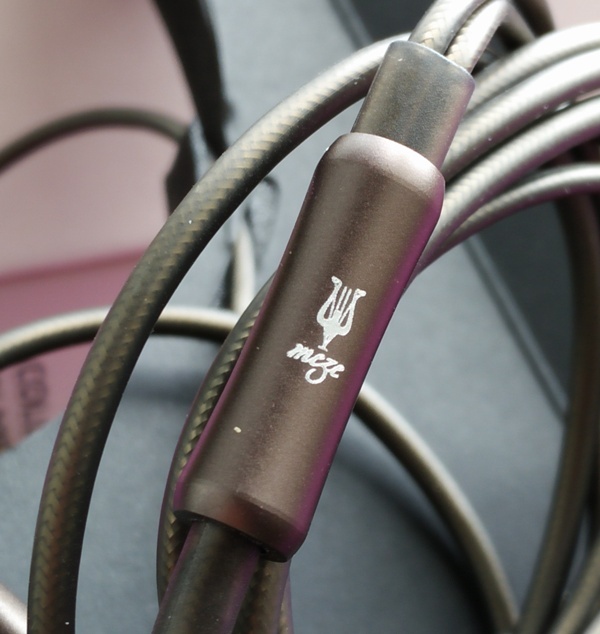 The Meze 12 Classics 1.2 meter-long braided cabling is also of premium quality with a rubber coating on the exterior and 7N high grade OFC (oxygen free copper) inner wiring that ends in a 3.5mm gold-plated straight jack plug.